Two tablets set into ornate tre-foil Ogee-arch stone frames. 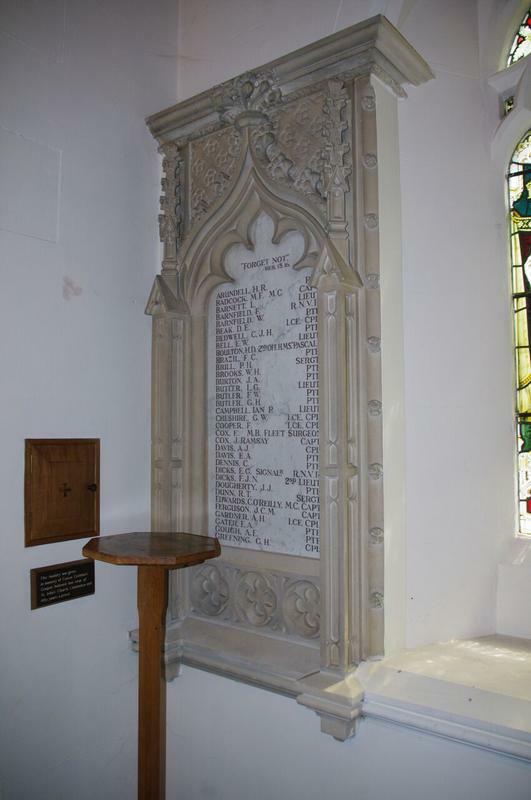 Tablets are wall mounted on either side of a stained glass window. 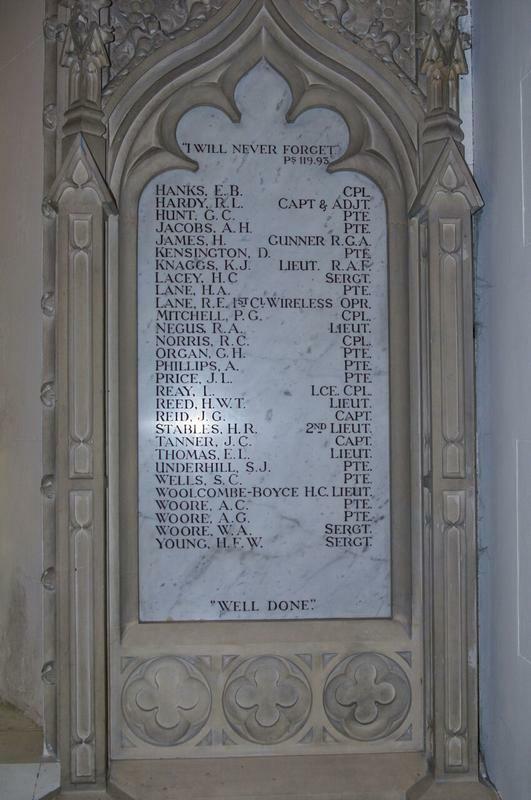 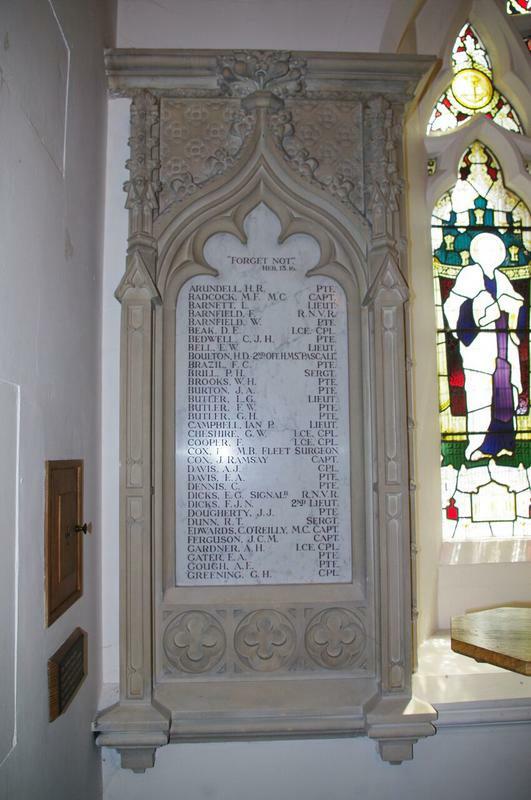 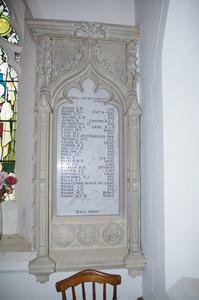 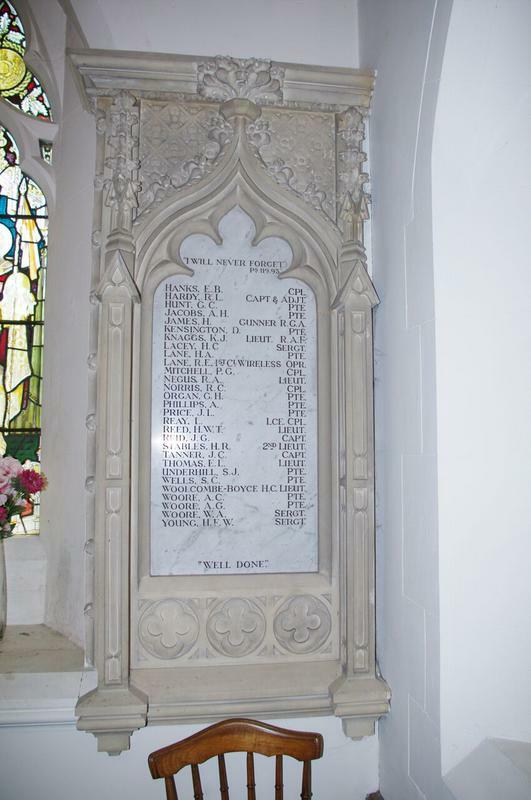 There are 34 names on the left tablet and 29 names on the right tablet.